Request Eric Henning For Your Special Event! Yes! I live in the Washington area and I want Eric Henning to make my event amazingly successful, unforgettable and fun! I want to see Eric Henning perform unbelievable magic. I want to hear all our guests laugh with delight, and I want to feel like the greatest event planner on the planet!! I understand that to reserve Eric Henning for my special event, I simply need to fill out the following information. After my party information is submitted, I’ll receive an electronic confirmation within 24 hours. (Should there be a scheduling conflict, Eric Henning will be in touch with me personally as soon as possible). What type of an event is this? Please select an event type... Children's Birthday Party Indoor Event Outdoor Event Date of the event? Example: Chris and Tiernan What is the birthday child's gender? Please select child’s gender… Boy Girl More Than One Child How old is the birthday child turning? The birthday child must be 5 years or older to participate in the show. Please select an age… 5 6 7 8 9 10 11 Which entertainment package would you like to book? 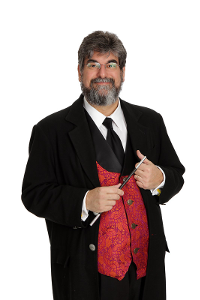 Please select a package… Gold Birthday Show The Magic Lesson Show The Wizard Show - Most Popular!